Hello! For those of you that don't know me very well, I'm Golden and I like art. I also like being exceedingly long-winded, so forgive me if this gets rather lengthy. So I like art! Art is fun! I've been drawing since I was a kid and actually won first place in acrylic paintings at the state Latin Convention this past spring. I also did my Latin Club's t-shirt design last year because lingua latina est vita, caniculae! *ahem* Basically people have often told me I'm pretty good at art. I don't listen to those people. 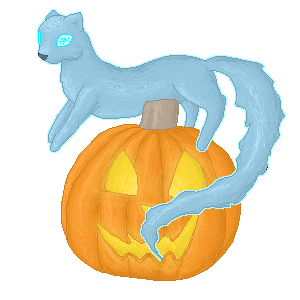 Which brings me to the purpose of this thread: actually get good at art. I have this thing where around once or twice a year I go through a bit of an art phase and just draw constantly and spend hours trying to learn how to improve. But I've never been able to keep that going for very long before I go "ehh art's overrated" and go back to playing video games or something. Video games are also fun. Anyway, in attempt to force myself to stay in "art mode" for longer so I can actually improve, I decided to make this and dedicate myself to drawing stuff every day (or close to every day) and putting it on the internet where people can berate me if I stop. So here's the deal: I post what I draw every day and... okay, that's pretty much the entirety of it. I'm just going to draw until I feel I've become good at art which, given my perfectionism, is exactly never. Hey, more art for you guys! That's all just random ideas for now though. We'll see how up for them I am later down the line. I can't think of any more blabbering I have to do so I'm just going to start posting art before I do think of something to blabber about. Note: I work on a reeeeeally large scale most of the time, so these pictures have been shrunk a bunch and had the content rearranged a bit to fit better. Nothing has been removed other than color swatches. I also have terrible handwriting and swear a ton so, y'know, watch out for that. I swear the blue guy just suddenly appeared in my drawing. That pretty much never happens to me so it perplexed me greatly. 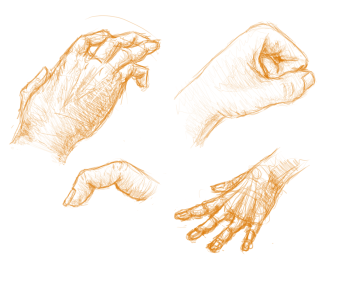 In any case, I think I improved a bunch at drawing hands even just within the time I spent today, so hooray! my plan is already working! So the real take-away here is 1) play Suikoden, and 2) don't let Golden post stuff after midnight. Word to live by right there. embarking on an artistic journey. Wow, you are super good at accurate anatomy! During an art phase last year I got kind of obsessed with learning correct anatomy but I lost interest before I learned everything. So my knowledge of upper torso/shoulders/upper arms is pretty decent but I still need to work on a lot of other stuff. Not much today since my parents were visting and I was out with them most of the day. 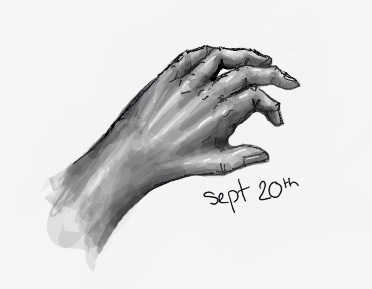 But I think the curled hand (ref'd from my own hand) is one of my favorite things I've ever drawn, so there's that. I'm going to an international riding competition tomorrow, so expect lots of horses in the near future. Also, likely no art tomorrow and maybe not the next few days since I have an essay due Tuesday night. 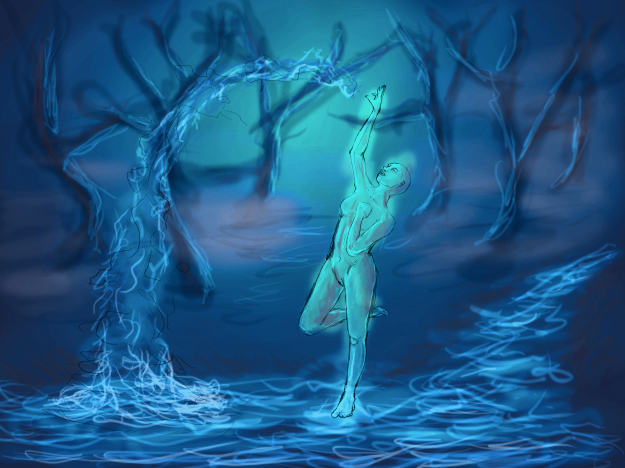 Alternatively, more art because procrastination. We'll see. Also, have fun at the competition! I'm looking forward to seeing more horse sketches from you! I decided to put the date on this one for some reason. Tablet are really annoying to draw on even with a stylus. Also the contrast looks way better on the actual tablet. I swear I haven't forgotten about this! The past week has just been kinda rough and I haven't been up for too much drawing. But yesterday I had my museums class and spent the entire time doodling, so I'll post that because why not? Fewer hands and more drapery and armor this time. And lots of stuff scribbled out. Also a better demonstration of the terribleness of my handwriting. Probably no more art from me today because I'm currently using my tablet's USB cable to charge my graphing calculator. 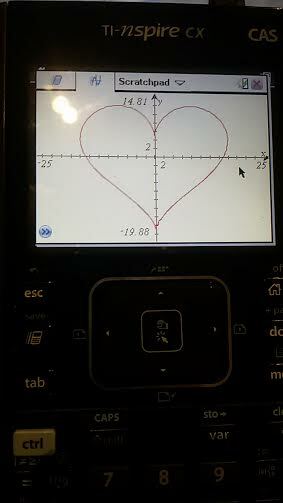 I'm not even taking a math or science class, I just feel incomplete without my graphing calculator. I have an excuse, kind of! I've been sketching in my sketchbook quite a bit recently but my phone essentially died last weekend so I couldn't take pictures. I got my new phone today though and the camera is so much better than my old phone's, so I may post pictures of those later. In any case, here's what I've been doing for the past hour and a half or so. WIP as the stick figure arm and random squiggles suggest. I'm going to try to turn it into a full painting, so we'll see how that goes. I am honestly impressed with just how fast I've progressed since starting this "quest" thing. Also adjustment layers are the best invention ever. Not too much progress since I haven't worked on it much. I had issues with the driver for my tablet and had to re-download and install it, which was annoying. I changed the water spout because it looked kind of boring before and flipped the image. I flip images a lot so I don't know what side it'll end up as. Beyond that, mostly starting to clean up the figure. Left edge looks kind of barren right now, but I have plans for it, fear not! It's still so beautiful, and also really soothing??? I love it, I can't wait to see the finished product!